UK’s Tekken 7 talent gear up for the next battle in South London. 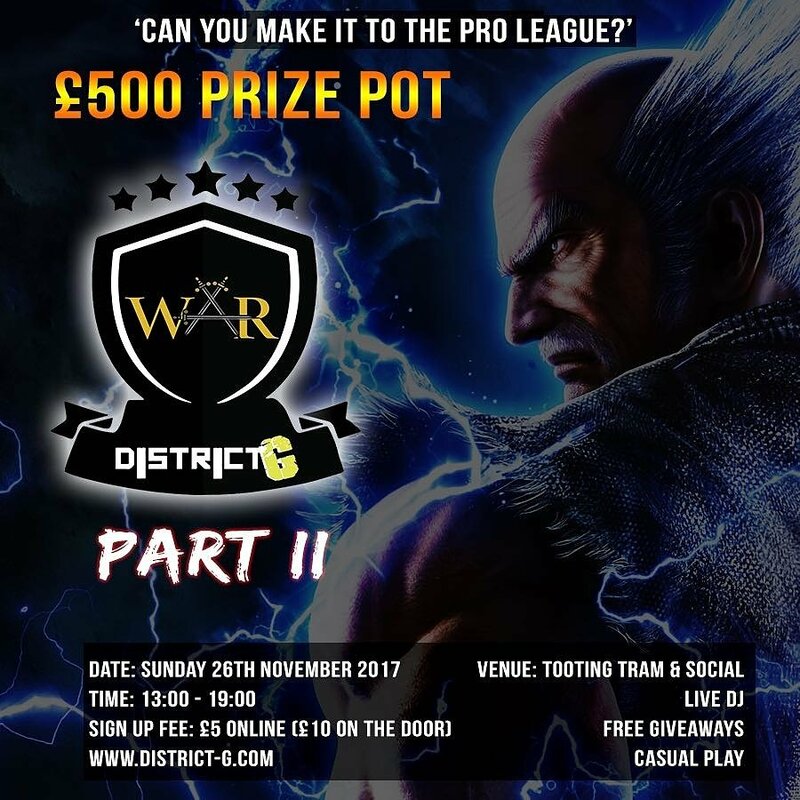 The long awaited 2nd qualifier in the District G Tekken 7 WAR series has been announced for Sunday 26th November at the Tooting Tram and Social in South London. Players from all over the UK and Europe will ascend there for a chance to win the next two-seeded spots in the District G’s finals coming this winter. Competitors already through to the finals include Asim and Roo Kang, who both made it past DG’s own UK Champion Kaneandtrench. Up to 100 players will go through a grueling double elimination format with the top two completing the seeds for the pro-league. To register for the District G WAR 2nd qualifier visit www.district-g.com.